We have a feeling that you can be found in the Holden Men's Brooks Side-Zip Jacket any time the mercury drops below freezing this winter. 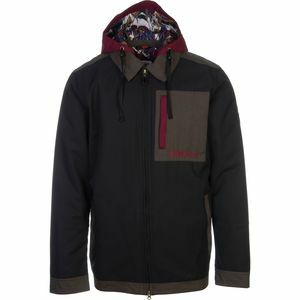 That's because it has a casual, streetwear-inspired look that you can wear during trips around town, and it's equipped with plenty of tech to keep you warm and dry when you're on the slopes. 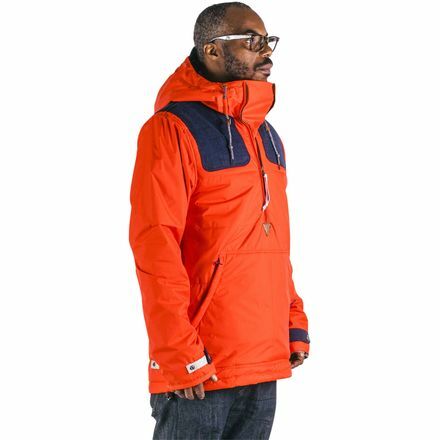 The smooth fabric shreds snow and rain easily, and is backed up with an eco-friendlier solvent-free waterproof laminate that helps you stay dry in heavy snowstorms. A hearty dose of low-profile insulation keeps you toasty in frigid conditions without giving the jacket a puffy appearance. A side zipper makes it easy to get the jacket on and off, and it can also help you cool off quickly after a leg-burning run. From the streets to the peaks, you'll stay comfy and stylish in the Brooks.